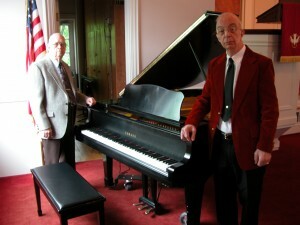 Bob Goss and Kerry Chandler with the Yamaha Grand Piano. 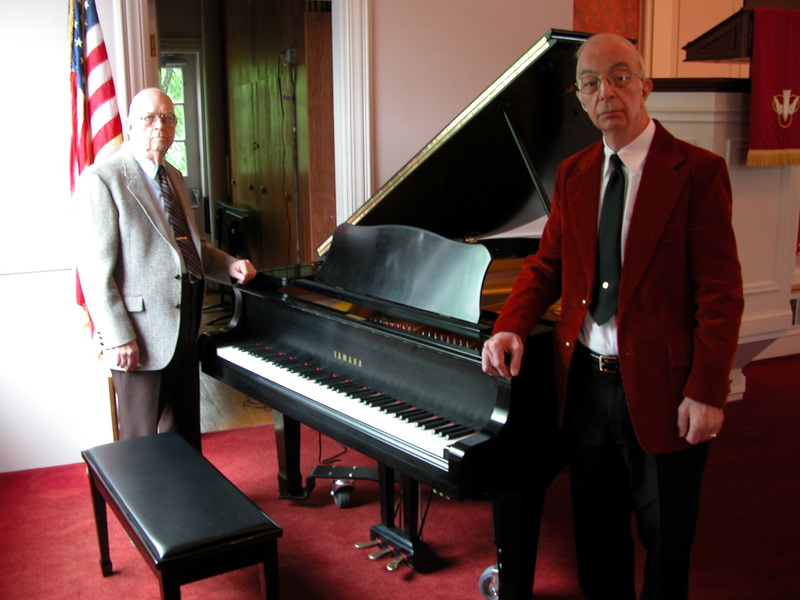 In May 2004, Bob Goss and Kerry Chandler gave the First Congregational Church a magnificent gift of music – a Yamaha Grand Piano. 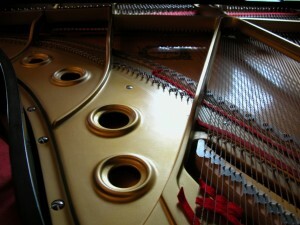 This gorgeous instrument now graces our sanctuary and is used regularly to enhance our services.